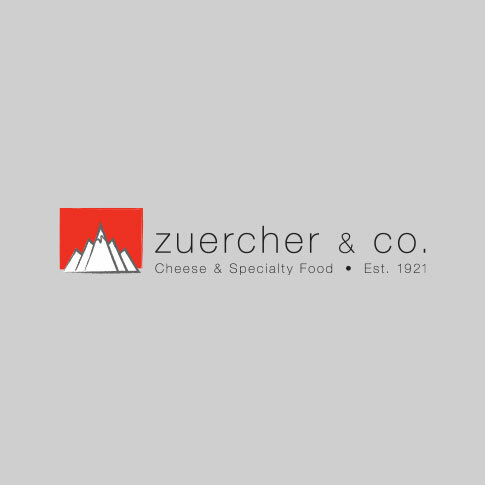 Great Britain Archives - Page 3 of 5 - Zuercher & Co. This clothbound Leicester is one of the few farmstead varieties left of its kind. This complex, yet never overpowering, taste is rich, nutty, sweet, and long-lasting. 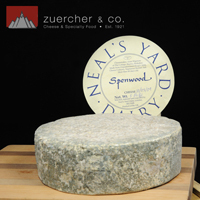 Spenwood is a hard, pressed sheep’s milk cheese. Styled after Italian pecorinos, Spenwood has a smooth texture with nutty, juicy, and long-lasting flavors. Lincolnshire Poacher is made similar to traditional cheddar. It is matured for 14-24 months and although the taste varies with the seasons it usually has a distinctive fruity, nutty taste with a clean sweet finish. 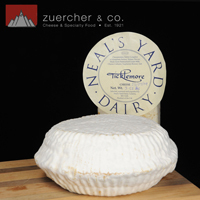 It has been described as sitting somewhere between the continental hard mountain cheeses (such as Comte) and traditional West Country Cheddar. Clotted Cream attains its thick texture when the cream of high fat breed cows (such as Jerseys) is heated in pans (traditionally copper, now stainless) to about 190ºF and then slowly cooled. Traditonally served on scones with strawberry jam at cream teas. Delicious. 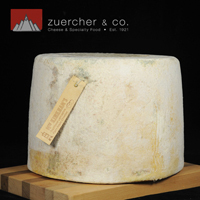 Gubbeen is a gentle cheese, but delivers a rich, buttery warmth and satisfyingly milky-sweet flavors. It will have the acidity of youth but as it matures, the milky-sweet butteriness intensifies while the acidity mellows out and allows a savory, nuttiness to develop. Berkswell is rich, sweet, fruity (almost like pineapple), and nutty. These tastes are always long and deep and the texture varies on the age from soft and moist to firm with maturation. This traditional Wensleydale is mellow and lactic with a smooth, creamy texture. Using a unique style blending three days’ milk, Kirkham’s Lancashire is the only Lancashire cheese to be made using unpasteurized milk and traditional rennet. They coat the outside of the cheese with butter which leads to the development of a lemony, savory tanginess and a creamy, crumbly texture. A nice mellow cheddar from Great Britain with a touch of sharpness. Excellent as a snack or in cooking applications.